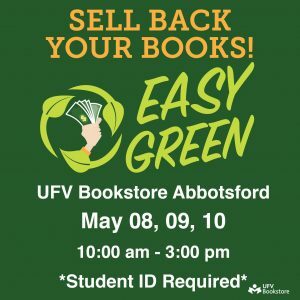 Did you miss our Textbook Buy Back? 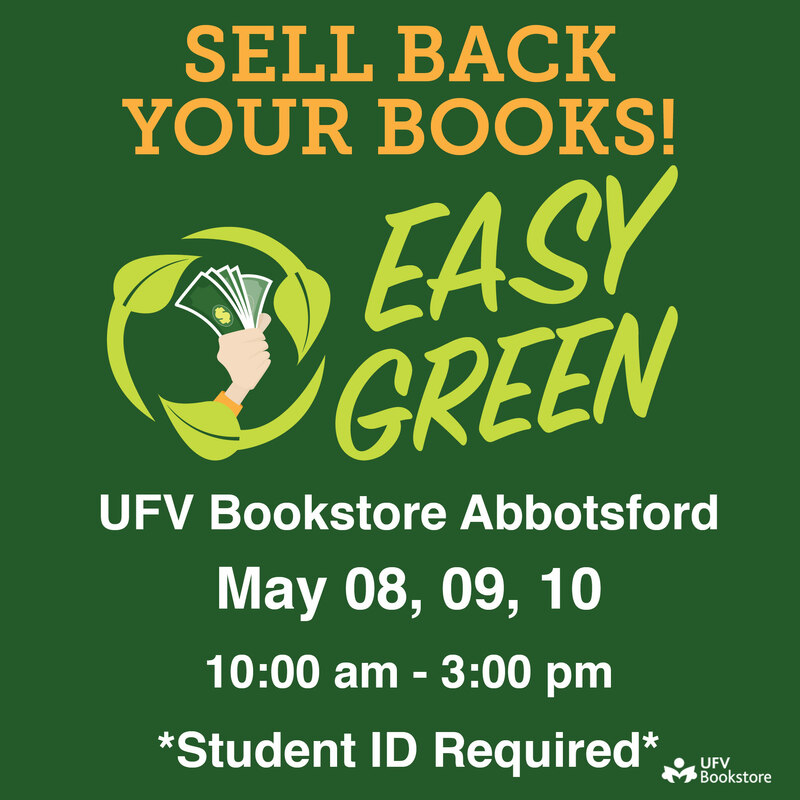 Turn your textbooks into cash May 08, 09, 10th at UFV Abbotsford Bookstore, 9:00am – 4:00pm. We are buying back textbooks that are in good condition with no rips, tears, or extensive marking. To receive the best price, the textbooks must be current editions that the bookstore can re-sell for this semester’s courses. If we are not buying your book back this term, hold on to it and bring it back in August when we begin planning for the Fall 2018 semester.